The strength of the ReFa line of products lies in its innovative, advanced beauty technology. Each product utilizes advanced electronic currents to improve circulation, boost the skin’s appearance, and provide anti-aging benefits. It’ shard to believe that so much can be achieved with electromagnetic technology, but with consistent use of ReFa products, your complexion will look beautiful, youthful, and radiant. Using a signature micro-current design, Refa refreshes your skin, restoring its natural beauty. All of our bodies carry a low electric current that helps regulate furcation and affects the appearance of the skin. As the skin grows older, these natural currents diminish, resulting in dull skin. ReFa recharges your skin with the proper electric currents ti improve circulation, boost cellular metabolism, and restore your complexion to a youthful state. When you glide ReFa across your face, you’l feel stimulated and invigorated. With consistent use, you’ll see improved tone, texture, elasticity, and your skin will feel healthier. ReFe uses solar energy, so you never have to worry about bothersome batteries or plugging it in. Take ReFa anywhere! The solar panel on the side of the door absorbs light, charging your ReFa so it’s always ready to use. 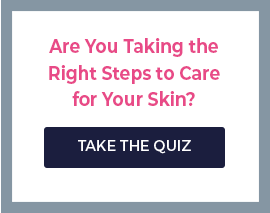 Now you can get esthetician level results in the comfort of your own home. A special treatment that will yield impressive results, ReFa provides clinical results on your own. Whenever you need to revitalize or improve the luster of your skin, simply glide ReFa across the affected area, and let it doe its work. ReFra features a platinum coating, protecting your skin while producing unrivaled dermatologic and aesthetic benefits. The acid and heat resistant coating protects your skin, and the ReFa is totally waterproof. So you can use it in the bath or shower!